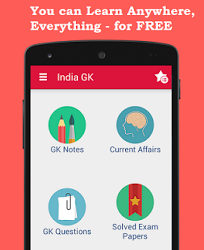 1st August 2017 Current Affairs MCQs, Quiz, Questions: Current Affairs for August 2017, Daily Multiple Choice Questions (MCQs) for India GK, World GK and current affairs with Collection of daily objective type Question by www.Indiagk.net based on General Knowledge (GK) and General Science (GS) Questions for UPSC, State PSC, SSC, Police exam, Railway exam, SBI, Bank PO, IBPC, SSC, LDC, UDC, Army, Airforce, Navy, Coast Guard, Bank Clerk, TET and all entrance examination with current affairs News, Multiple Choice Questions (MCQs) available on Website www.IndiaGK.net and Android Apps with daily updates:. Which Mobile app recently integrates Google Duo for video calling? PM Narendra Modi on 1st August announces Rs 2350 crore package for ----- ? Which country will host Summer Olympics 2024? Who resigns as Vice-Chairman of Niti Aayog? Who is richest person in Asia?